XL WooCommerce NMI Gateway plugin download here or install via WP-Admin > Plugins. Tokenization - This gateway tokenizes payment methods in a way that allows Autoship Cloud to create and pay for recurring orders automatically. Authorize Only - This type of transaction is not currently supported for Autoship Cloud. Please use Authorize and Capture to avoid issues with recurring billing. Once you have installed and activated the XL WooCommerce NMI Gateway Payments plugin, you will need to enter your NMI account credentials into the plugin settings before you can start using it. To do this, navigate (in your WP Admin) to Woocommerce > Settings > Checkout > XL WooCommerce NMI Gateway (either at the top of the page where all the plugins are listed as text, or at the bottom where the enabled/disabled gateways are displayed). Notes: The fields are labeled "Sandbox Gateway Username" and "Sandbox Gateway Password" because the plugin is set to use the "Sandbox Environment". You will need to supply the username and password from your NMI account that corresponds with the environment in which you will be using the gateway (we are starting in the Sandbox Environment to ensure that the plugin is working without creating actual charges). Once these have been set, click "Save changes", and complete a checkout from your store to ensure that your WooCommerce checkout is working as expected. Select "Nmi" and enter your username and password (the same that were entered into your WooCommerce Payment Settings). The NMI gateway does not have different endpoints for test and production. In order to use a test account, you will need to visit your merchant control panel (Settings > Test Mode > ‘Enable Test Mode’). "Test Mode" is not a setting for NMI Payments because enabling the testing environment is only controlled by the settings in the NMI Merchant Portal. By default, all gateway accounts have a duplicate threshold setting of 1200 seconds (20 minutes). This time period can be adjusted, overridden, or turned off completely. Customers will have to contact their merchant service provider to adjust this setting. 1. Ensure your NMI Merchant Portal is set to "Test Mode"
3. 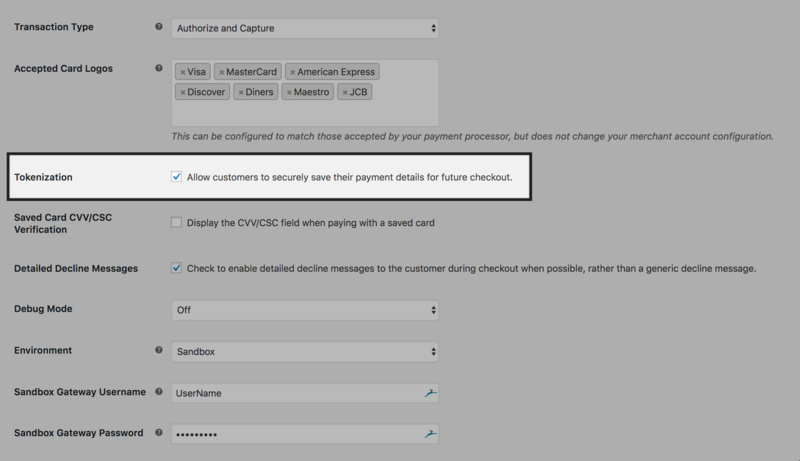 Complete a checkout using a credit card for NMI Payments as the payment method, using sandbox credit card info, and filling in the "Create Password" field (this should be required). 5. As the same customer, visit My Account > Autoship Schedules, and verify that you have a schedule created, and that the scheduled items and frequency are correct. 2. 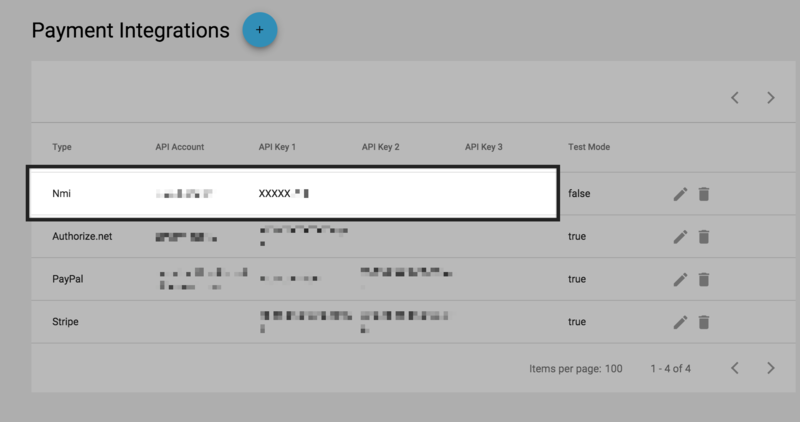 Navigate to WP Admin > Woocommerce > Settings > Checkout > XL WooCommerce NMI Gateway, change the setting for Environment from "Test" to "Production", and enter the username and password from your NMI account. Click "Save changes".